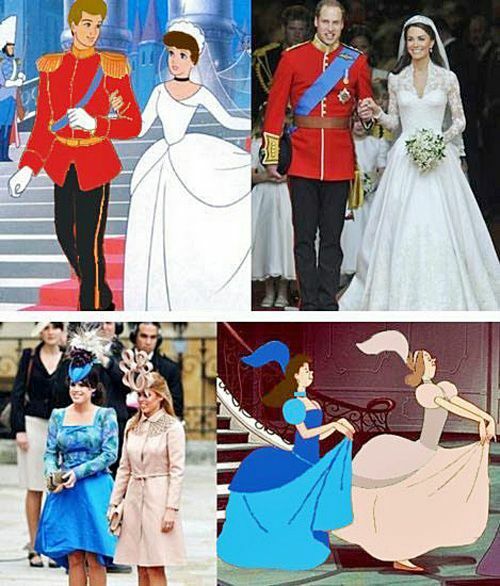 Has Disney gone into the wedding planner business? That is wonderfully funny. Thanks for opening our eyes. This really cracks me up! Yeah, maybe they're going on the business...maybe they already did with the prince of England!!! hahahahaaa....lol! Thanks for making us notice this! I loved it! Oh my goodness - this is too much! thank you for the laugher on the morning. Smile! I'm glad to see so many of you laughed as much as I did when first seeing these images. Oh Candy!!! That just cracks me up to no end! Just too funny! Wonderful; thanks for the smile! I love silly things like this that give me a jolt of true amusement! I to laugh!! I just was looking at pictures of the royal cousins and thought, "They look like the wicked step-sisters!" Then I happened across this post! Too Funny!! Hi Barb! Even weeks later this still makes me laugh, so glad you enjoyed it too.